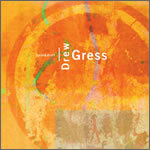 Drew Gress falls into the great tradition in jazz of musician/composer/bandleader that was pioneered by legendary artists such as Duke Ellington, Charles Mingus and Thelonious Monk and is practiced in the present day by Dave Douglas, Tim Berne and John Zorn, among others. His instrument is the acoustic bass, although he also plays the pedal steel guitar. 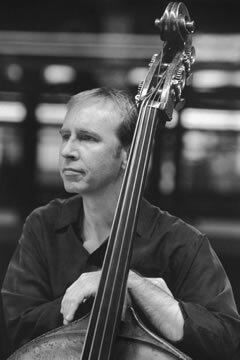 He is currently one of the busiest bassists on New York City’s jazz and contemporary improvised music scene with touring and/or recording credits that include work with leading artists such as Fred Hersch, Dave Douglas, Don Byron, Tim Berne, Uri Caine, Lynne Arriale, Ray Anderson and Erik Friedlander. As a composer/ bandleader, he has two records under his belt: 1998’s Jagged Sky (Soul Note) and the current Spin & Drift (Premonition). 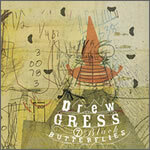 These recordings have earned Gress recognition as a composer of note, an artist in the forefront of creating important new music in the jazz realm. Born in Trenton, NJ in 1959, Gress grew up in the Baltimore/Washington, DC area and began his career in music there. He attended Towson State University where he was a composition major studying under composer/arranger Hank Levy (Stan Kenton, Don Ellis). He quickly became a first call bassist on the Baltimore/D.C. scene where he could regularly be found playing at clubs like “Blues Alley” backing up artists such as the singer Ethel Ennis. As his graduation neared he earned an apprenticeship at Hanna Barbera Studios in Los Angeles ghost-writing, arranging and fleshing out sketches for “Casper, The Friendly Ghost” cartoons. Three months in the cartoon business proved to him that jazz, and not “functional” music was where his heart was. He moved back to the D.C. area and then on to New York City where he has lived and worked for the past nine years. 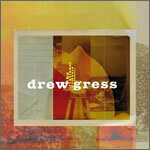 The San Francisco Examiner said Gress’ music is “full of the jazz spirits of excitement, improvisation and technical brilliance.” With Spin & Drift, Gress lives up to the hype offering up an album featuring indelible melodies, rich harmonies, and hip, offbeat rhythmic structures that leave a lasting impression.